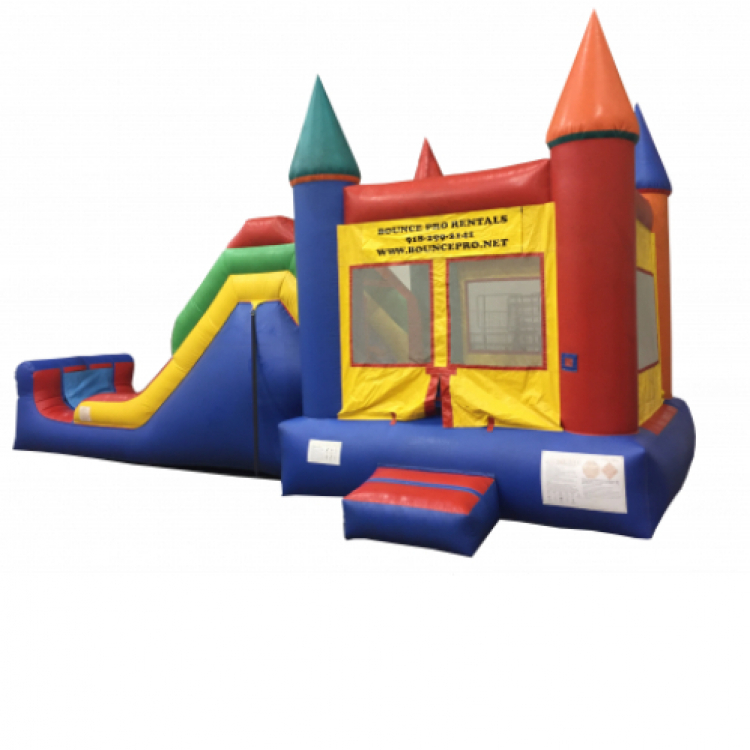 Bounce Pro Inflatables is proud to offer the best combo bounce house rentals in Tulsa and the surrounding areas. We know you may be wondering, “What exactly is a combo?” Well, simply put, a combo combines the fun of a bounce house with the excitement of a slide…all in one unit. Also, the best part is that ALL of our combo bounce houses can be used as water slides during those muggy, humid Tulsa summers by clicking here. Whether you’re having a backyard birthday party, a school field day, a church event or a company picnic, these fun inflatables are the perfect choice for your next event. The design of these combo bouncers provides a nice throughput so nobody ends up waiting in long lines when there are lots of attendees at your event. For the most part, jumpers will jump for a while, then climb up the slide, and down they go. Exiting out the bottom, they’ll then make they way back to the entrance to enter the bounce house area again. 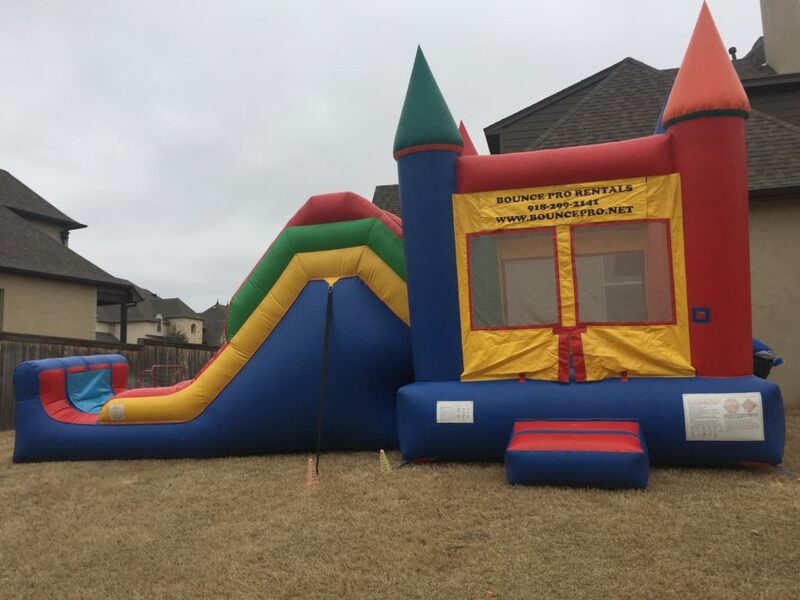 With the best combo bounce house rentals in Tulsa, there’s no need to choose between a bounce house or an inflatable water slide. Get the best of both worlds when you rent one of our fun inflatable combos. All of our units are designed and manufactured by the top companies in the inflatable industry to meet or exceed safety standards. Bounce Pro Inflatables is fully insured, and all of our units are inspected and licensed as well. 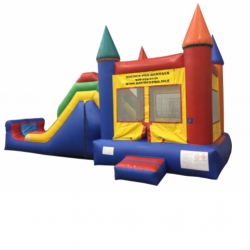 Take the worry out of planning your next party or event with Bounce Pro Inflatables.